The U.S. Department of Agriculture recently announced a $1.6 billion investment in 46 electric utility infrastructure projects in 24 states that will improve reliability and resilience of the electric grid. As part of this investment, three North Carolina cooperatives received loans worth a total of more than $86 million that will help maintain and strengthen their systems, as well as contribute to economic development and quality of life in rural North Carolina. Carteret-Craven Electric Cooperative, located in Newport, received $9.2 million to build 45 miles of line, improve 20 miles of line and make other system improvements. The loan includes just over $204,000 for smart grid projects. The co-op serves 40,100 members with 2,441 miles of line in Carteret, Craven, Jones and Onslow counties. Randolph EMC, based in Asheboro, was awarded $26 million to build 34 miles of line, improve of 73 miles of line and make other system improvements. The loan includes $325,900 for smart grid projects. The co-op serves nearly 32,000 members on 4,100 miles of line in Alamance, Chatham, Montgomery, Moore and Randolph counties. One of the USDA loans will finance the cost of generation system improvements at the Catawba Nuclear Station. 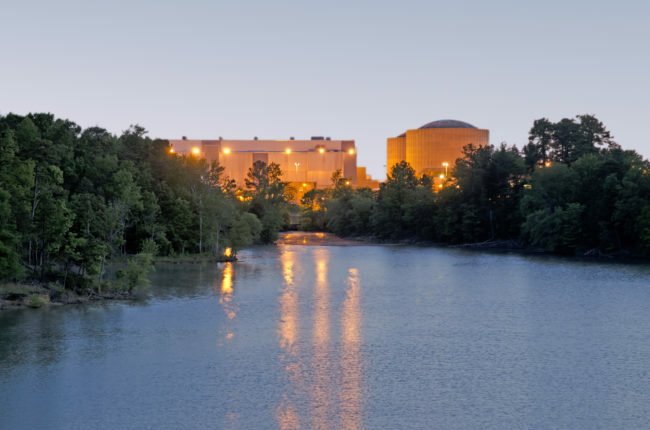 N.C. Electric Membership Corporation, a wholesale power supplier serving 25 of North Carolina’s electric cooperatives, also received more than $51 million to finance the cost of generation system improvements for the Catawba Nuclear Station. NCEMC owns a 61.51 percent share of the station’s Unit 1. Emissions-free nuclear energy accounts for more than half of NCEMC’s power. The loans are funded through the USDA’s Electric Program. These investments will help contribute to a stronger rural electric system by improving operations and reliability, as well as helping expand economic opportunities and creating jobs in rural areas.